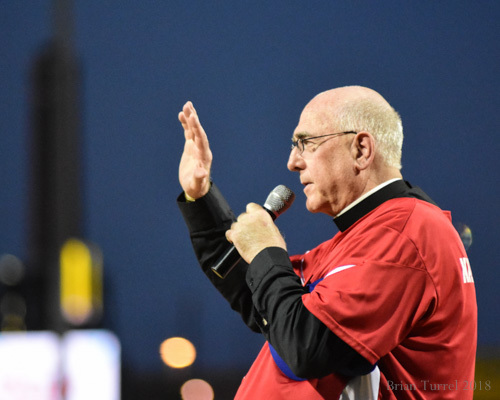 Pitching Priests at T-Bones Stadium – Welcome to Wyandotte Daily! 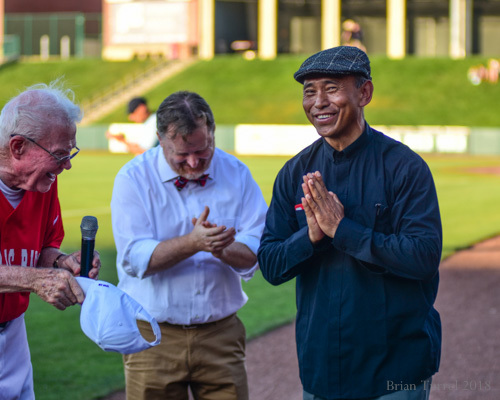 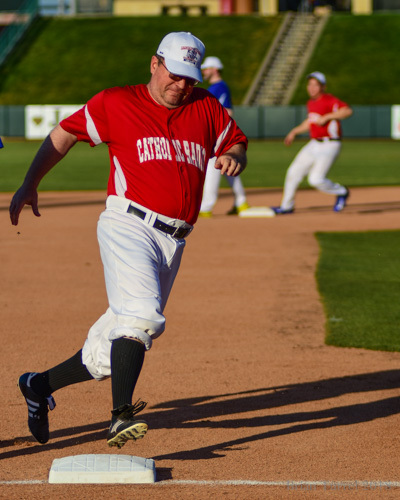 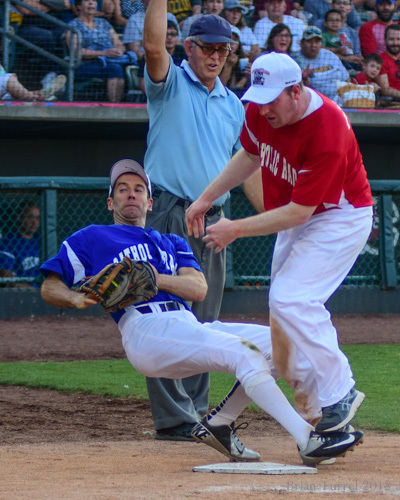 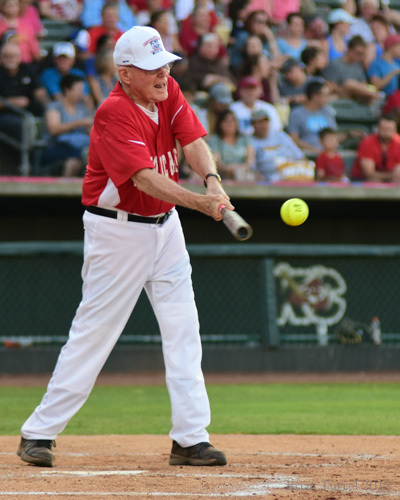 Nearly 3,000 members of the Kansas City Catholic community from both sides of the state line turned out for the Pitching Priests charity softball game, played Friday night at T-Bones Stadium in Kansas City, Kansas. 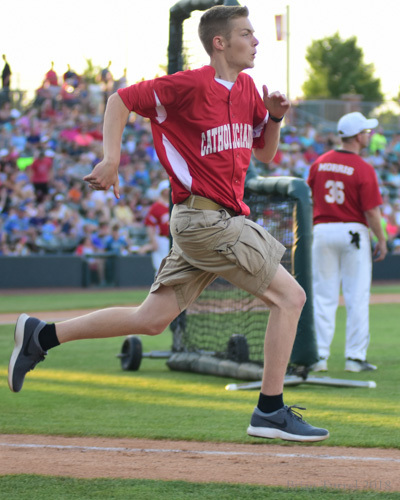 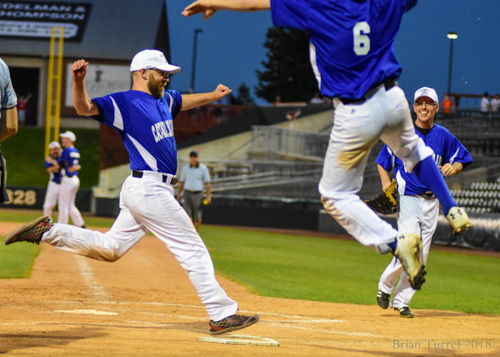 The Missouri team, from the Diocese of Kansas City-St. Joseph, won the game in extra innings, coming from behind to defeat the Kansas team from the Archdiocese of Kansas City in Kansas. 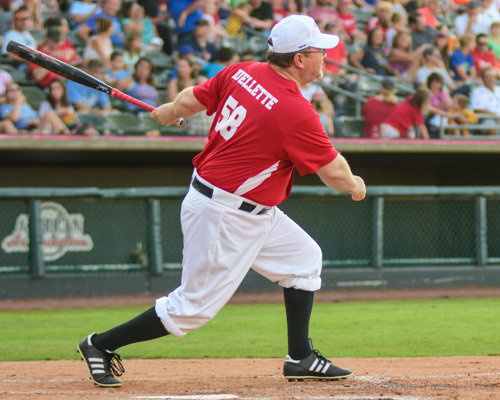 Father Adam Johnson hit a sacrifice fly to pull the Missouri team ahead 16-15 in the bottom of the seventh. 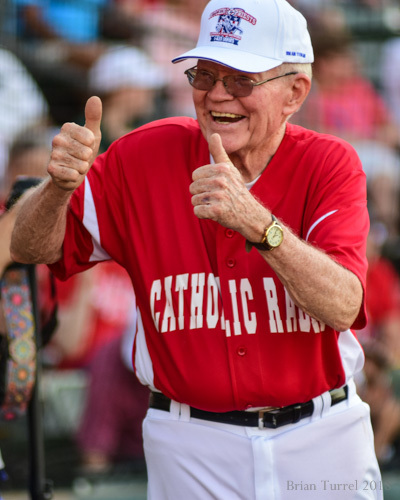 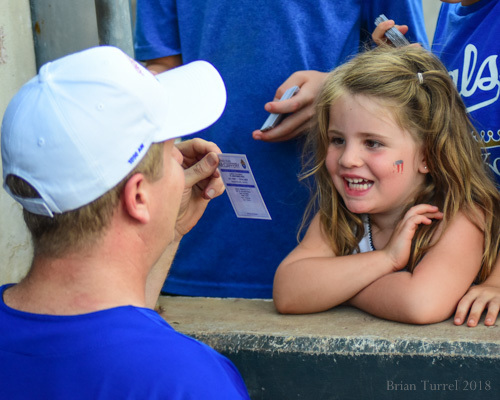 The priests were the stars of the show, with fans waving homemade signs and kids lined up along the dugout walls for autographs. 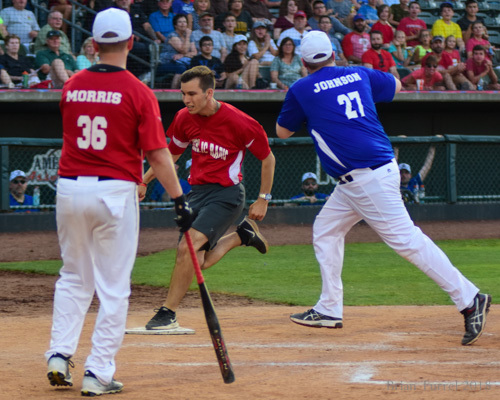 The annual event, nicknamed the I-435 Series, raises money for Catholic seminary students training for the priesthood.